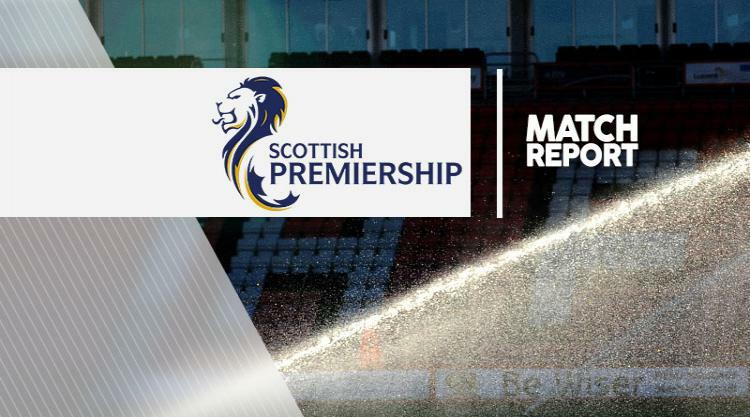 Christopher Routis hit the only goal at Fir Park as Ross County took a massive step towards Ladbrokes Premiership safety with a 1-0 win against Motherwell. The hosts again paid the price for a defensive mistake as substitute Zak Jules needlessly prevented the ball going out for a goal kick and Routis netted from close range seconds later to move County seven points clear of both Motherwell and Hamilton. County need just a point to ensure safety and any result except a draw in next weekend's Lanarkshire derby will mean they are free from worry at any rate. The SuperSeal Stadium clash looks like being pivotal in the race to avoid the play-offs and a loser in that match will be anxiously looking over their shoulders after bottom club Inverness closed the gap to four points. Motherwell manager Stephen Robinson made a big call before the game, dropping goalkeeper Craig Samson after his mistake gifted Dundee the opener during their 3-2 defeat the previous weekend. Russell Griffiths, a January loan signing from Everton, was handed his debut. Other than catching a corner midway through the half, Griffiths had no opportunities to show his talent in an uneventful opening period. Motherwell had nine first-half corners but could not make any count and Scott McDonald hit the ball straight at Scott Fox from 20 yards in the only shot on target before the break. County had some good spells of possession but, with strikers Liam Boyce and Alex Schalk suspended, they lacked an attacking edge. And Craig Curran was even more isolated up front after Ryan Dow went off for Routis in the 29th minute after struggling with a chest problem. After lacking width and invention in the first half, Robinson moved Lionel Ainsworth from a central role to the wing and both he and Elliot Frear put in some dangerous crosses early in the second half, Carl McHugh flashing a header just over from one. Motherwell had a let-off when Tim Chow kicked fresh air after Jim O'Brien's shot fell for him 10 yards out and the visitors soon survived a penalty appeal when Jason Naismith felled Frear as the winger bore down on goal, referee Bobby Madden ruling the full-back had got the ball. Griffiths made his first save in the 57th minute, holding Curran's header after it threatened to loop over his head. Fox made a more difficult stop when he pushed Ainsworth's powerful long-range drive wide, but Motherwell put themselves under pressure in the 72nd minute. Jules, on five minutes earlier for pre-match injury doubt Steven Hammell, stopped the ball on the byline and passed inside to McHugh, who was robbed by Curran. The subsequent cross was helped on by Chow and Routis beat Griffiths to the loose ball to finish high into the net. Motherwell struggled to create a chance to rescue a point and Craig Clay's shot was cleared in the goalmouth after a corner in the closing seconds.